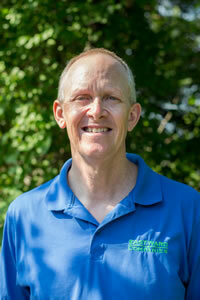 Don has been working at Eastward Companies as the Chief Financial Officer since 2002. He is responsible for overseeing the company's financial management, tax reporting, and debt management and is also an integral part of the companies' day-to-day operations. Don grew up on Cape Cod, graduated from Barnstable High School and Stonehill College with a Bachelor in Accounting. He is a Certified Public Accountant. Prior to joining Eastward Companies, Don was an auditor, town accountant, and the Assistant Town Manager/Director of Finance for the town of Chatham. Don has also volunteered on the Town of Chatham Police Department/Town Hall Annex Task Force charged with working on an acceptable design and budget as well as the Chatham Orpheum Theatre Building Committee. In his spare time, he enjoys spending time with his family, exercising, and traveling.